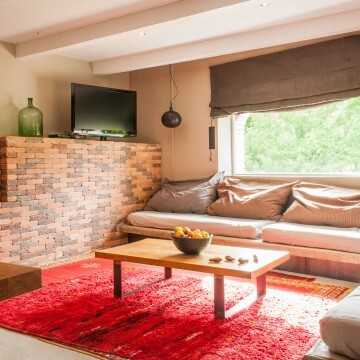 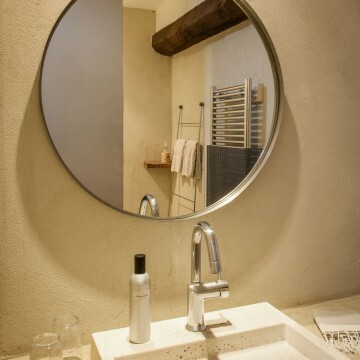 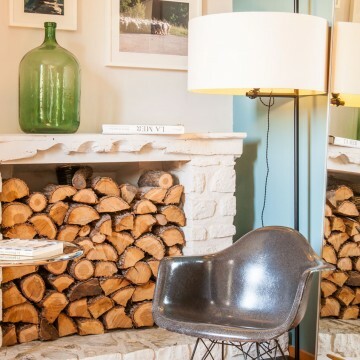 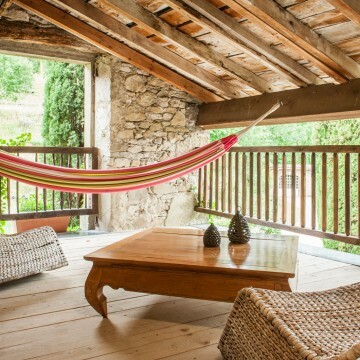 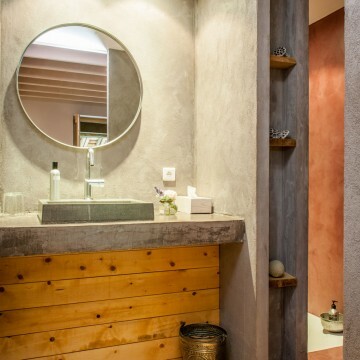 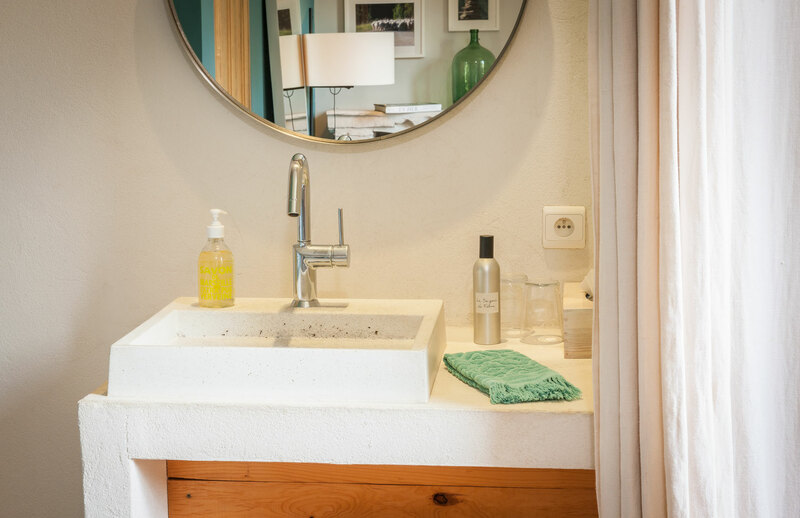 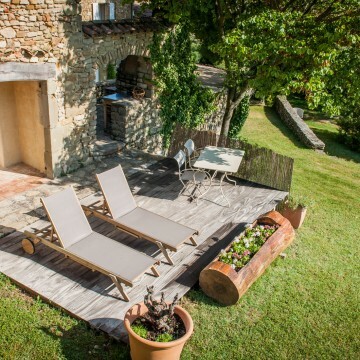 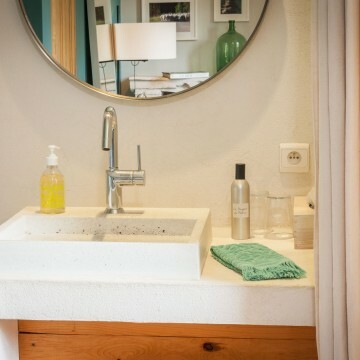 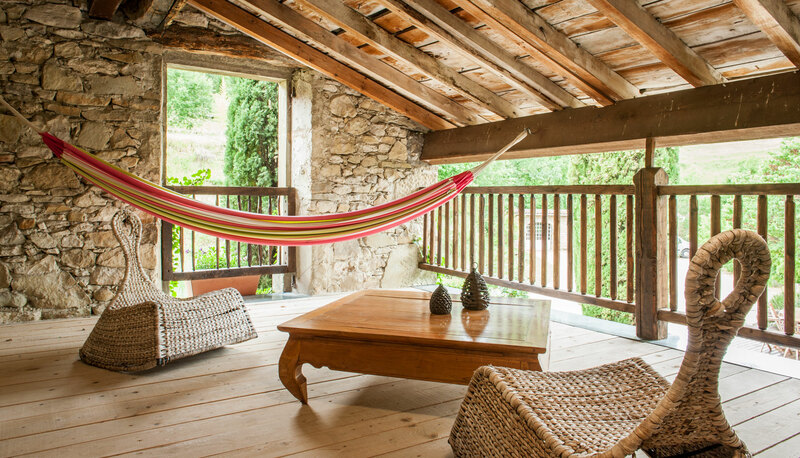 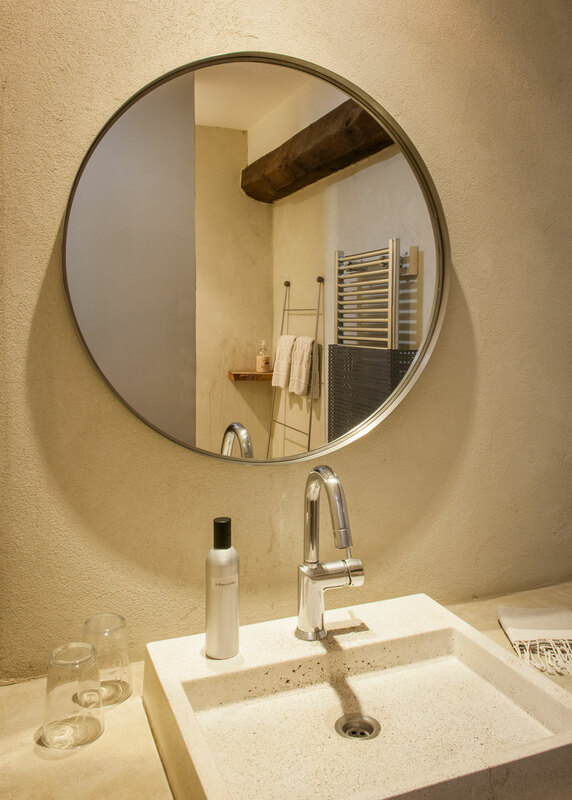 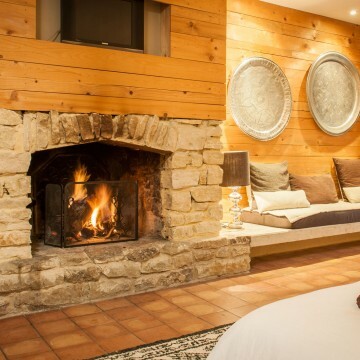 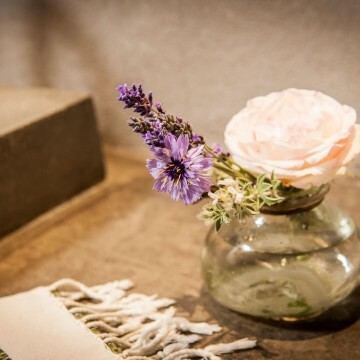 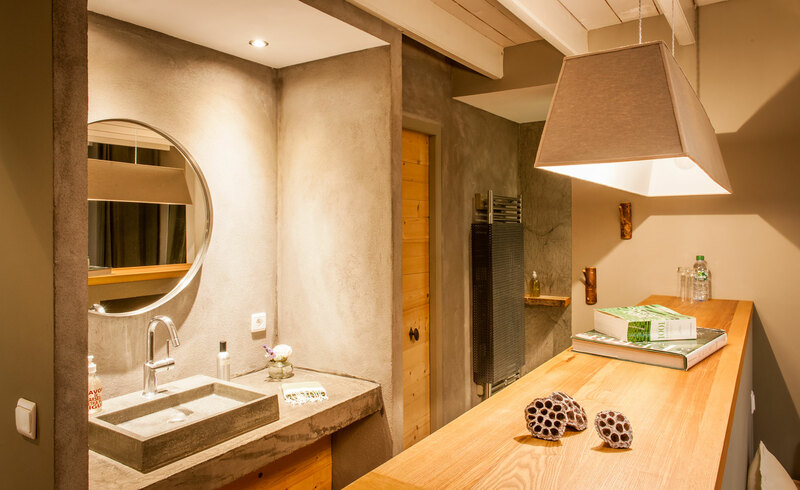 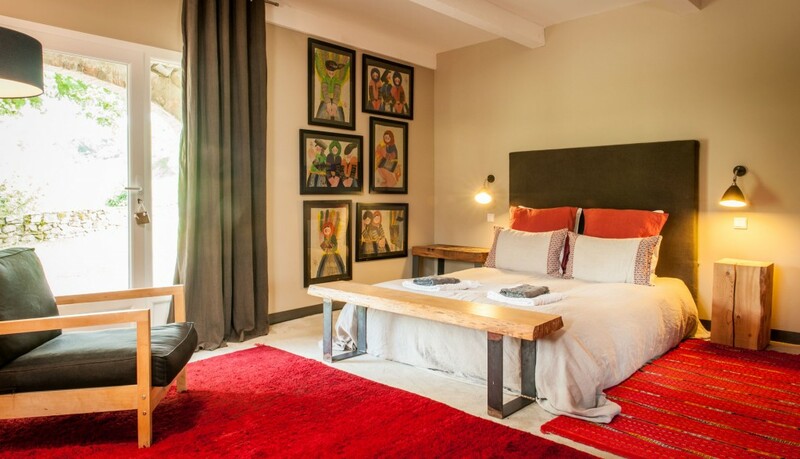 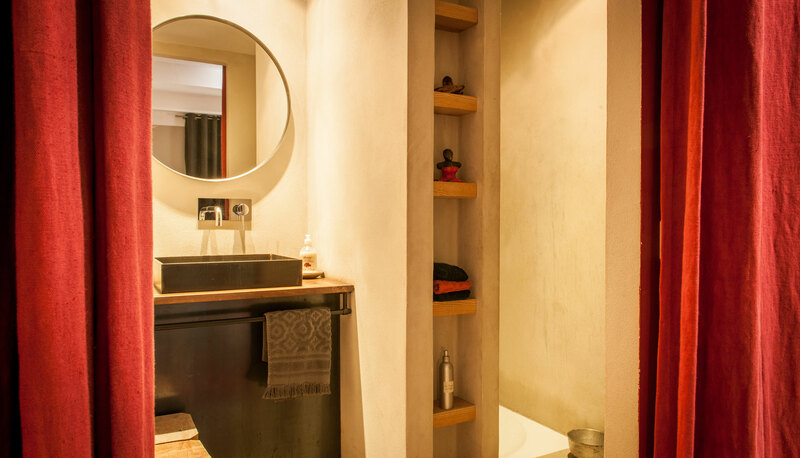 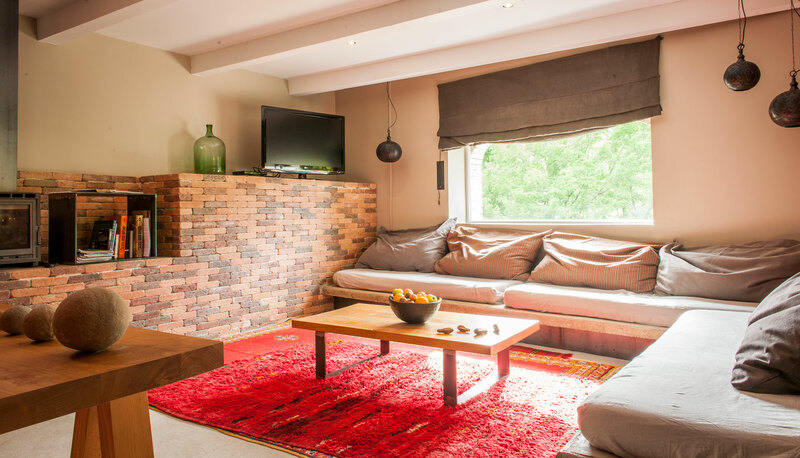 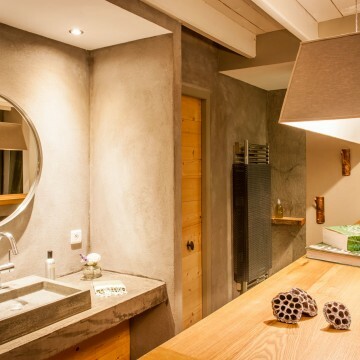 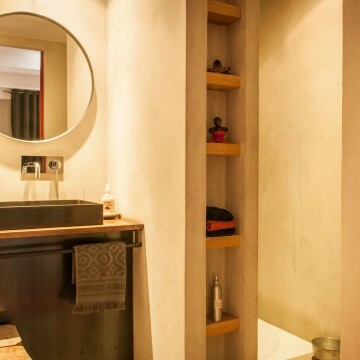 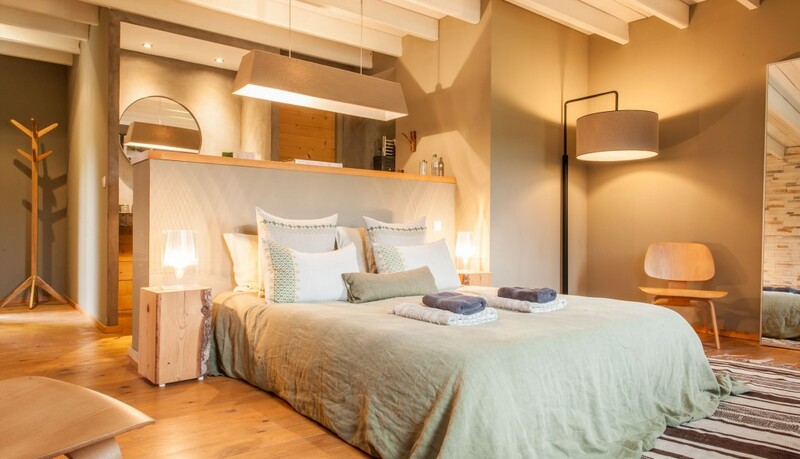 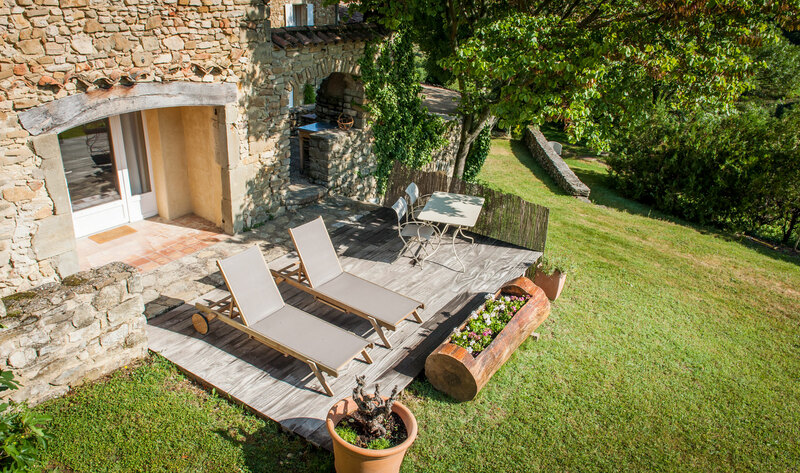 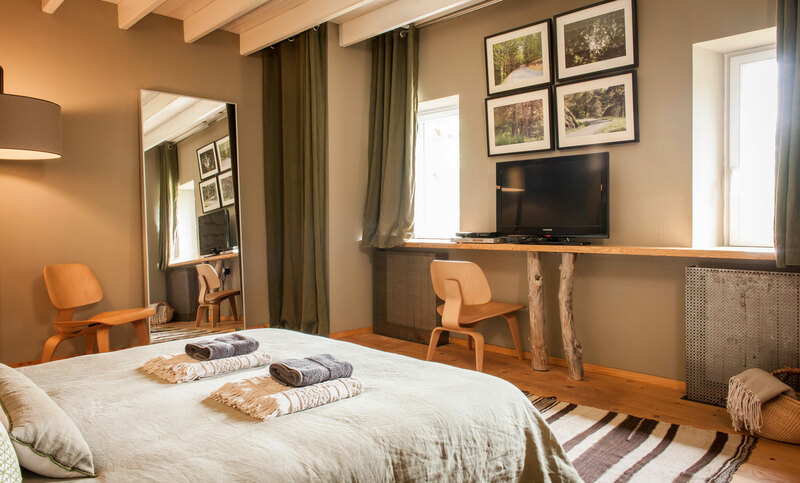 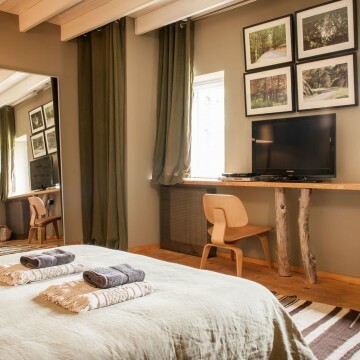 Each of the 5 rooms is done out in natural raw materials such as wood, linen and dyed concrete with a designer touch. 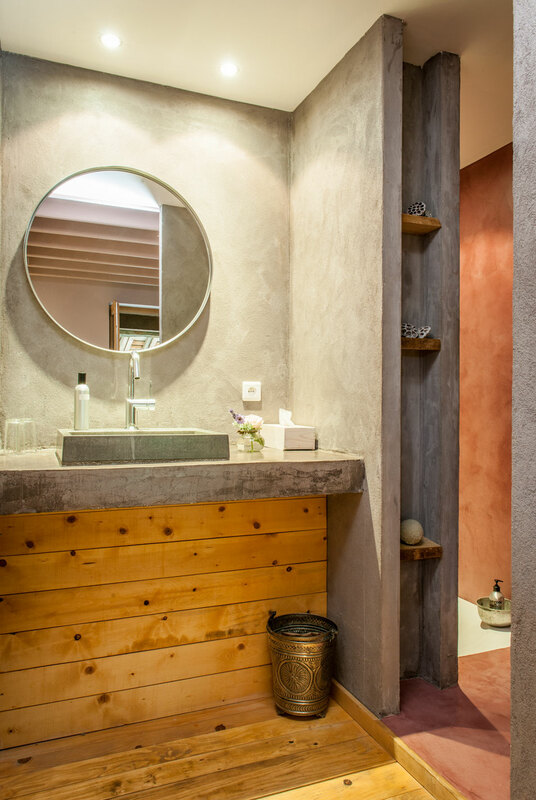 All benefit from an Italian shower, separate toilets and flat-screen TV. 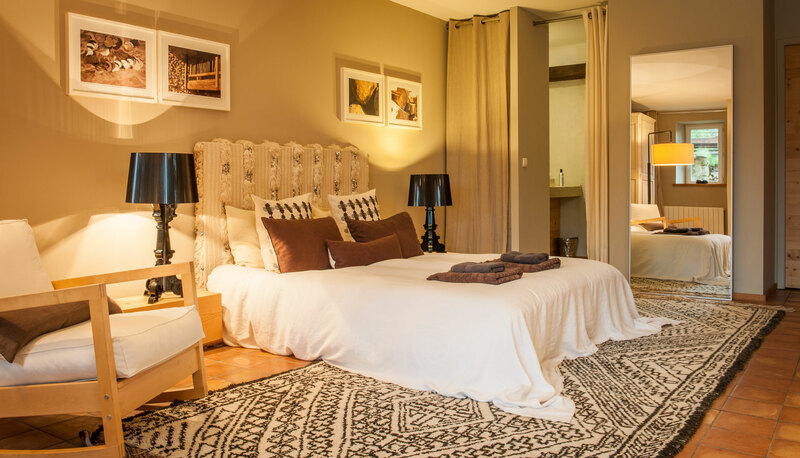 The bed linen in ‘Caravane’ linen and the hand-embroidered ‘Maison Hand’ pillows give an elegance and ethnic touch to our rooms, which all have a generous king-sized (160×200) bed. 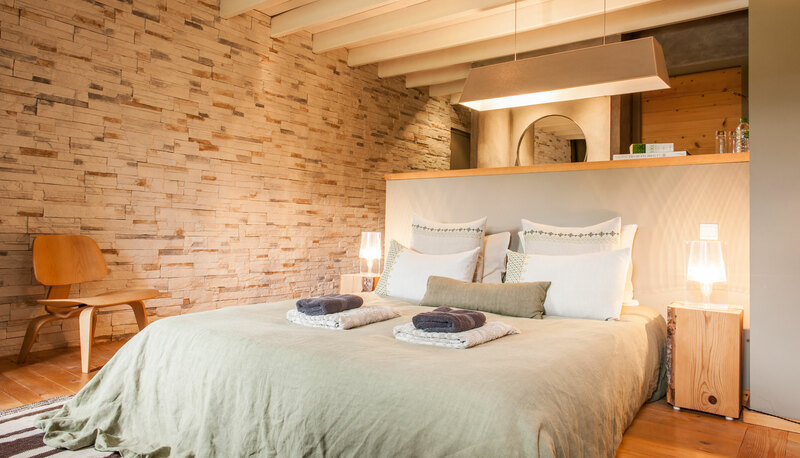 The interior decorators, Pierre Emmanuel Martin and Stéphane Garrotin from Maison HAND, decided to fit out each of our rooms in soft and soothing shades. 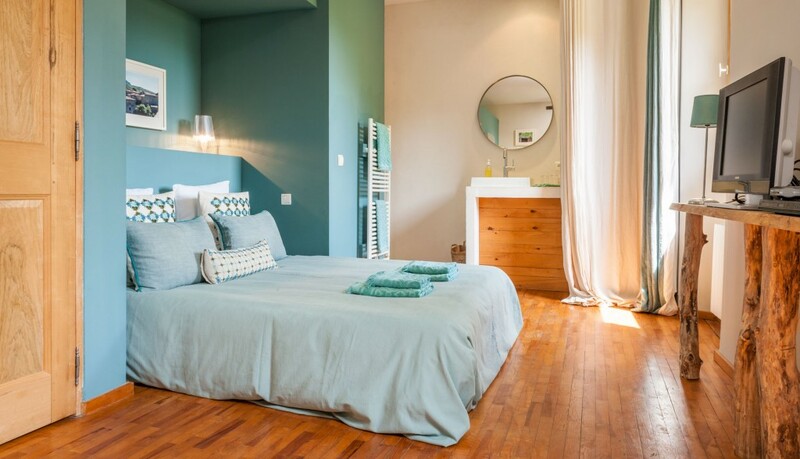 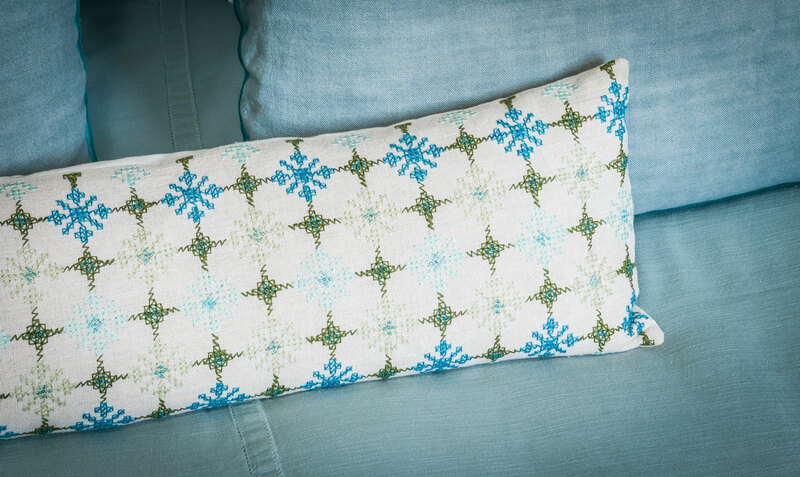 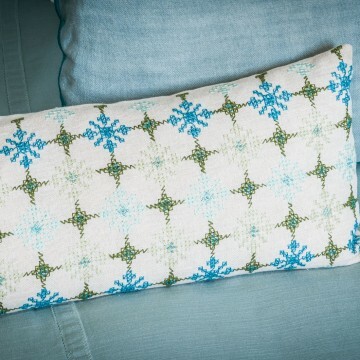 The blue and chalky-white colours are an invitation to escape and head south. 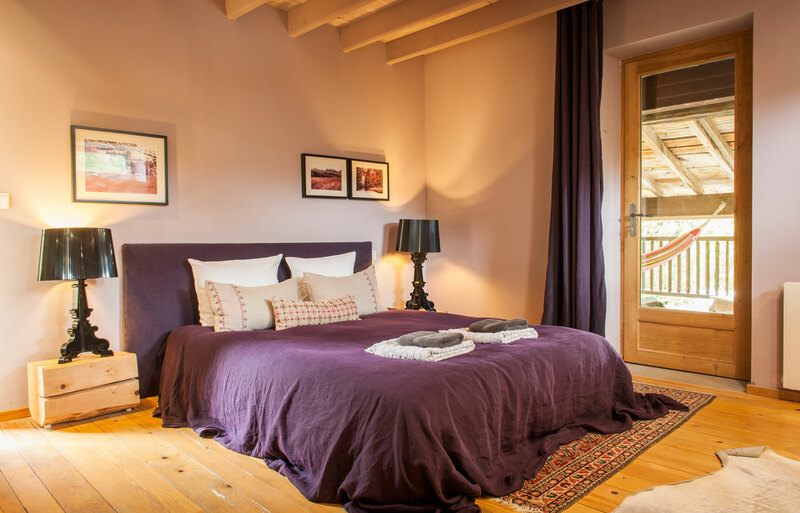 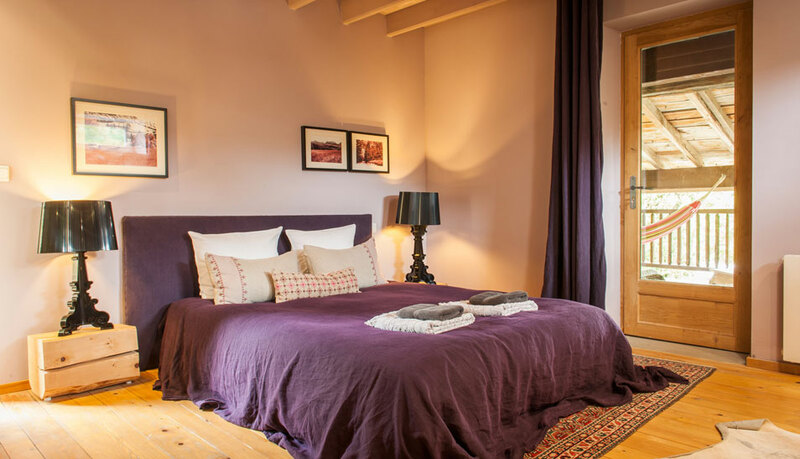 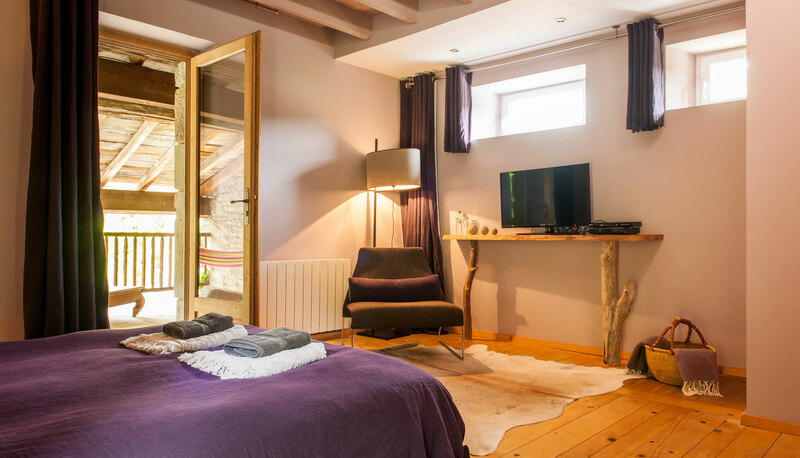 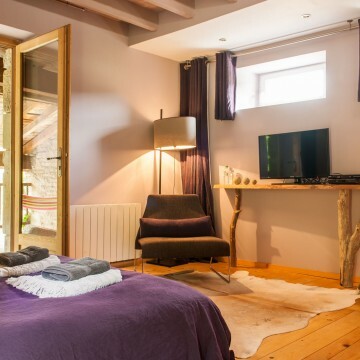 This is a cosy, romantic and stylish room, in shades of plum, aubergine and dove grey (with its own shaded terrace). 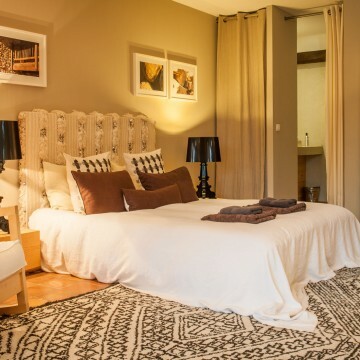 In the colours of the surrounding forests, drawing you into peace and tranquillity. 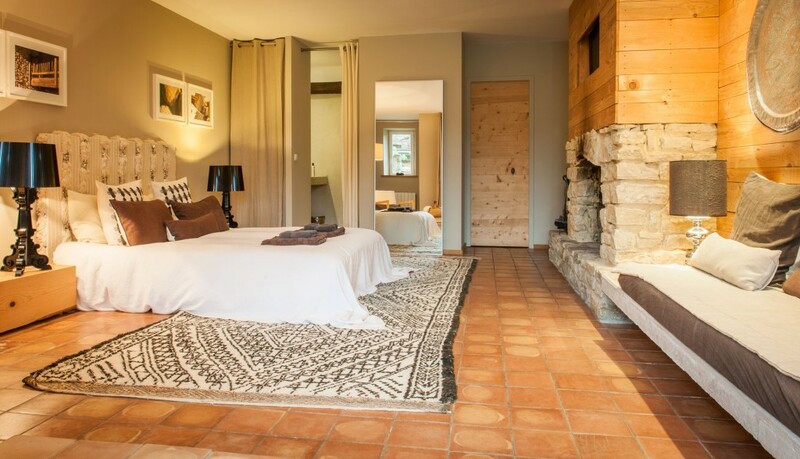 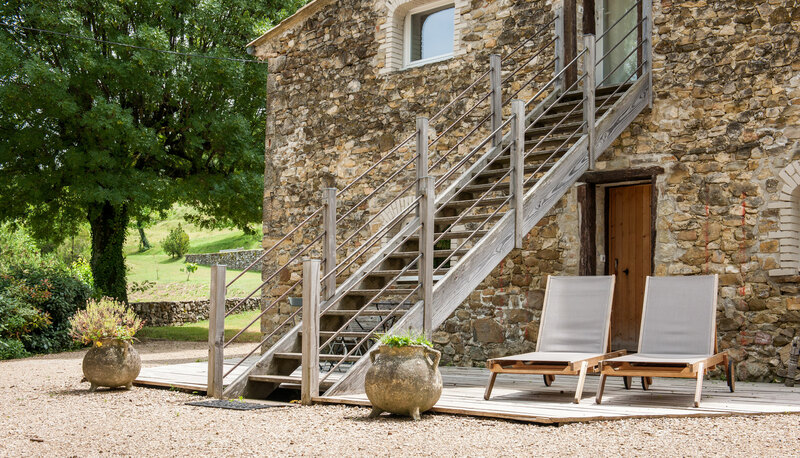 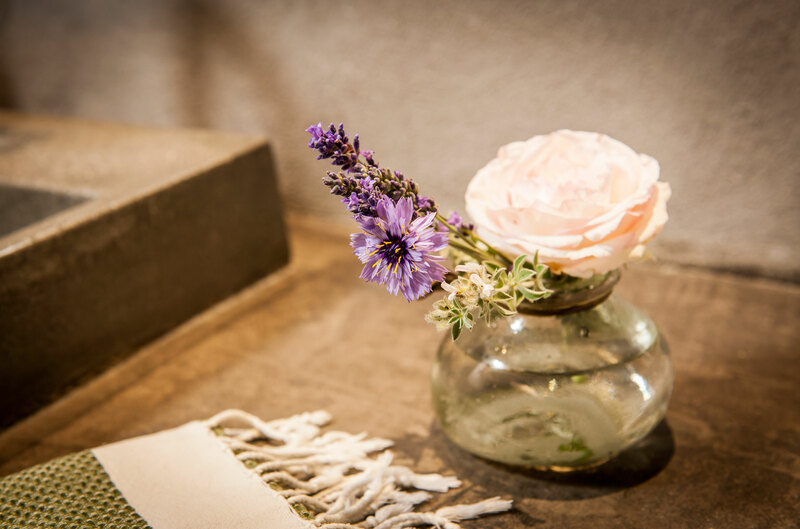 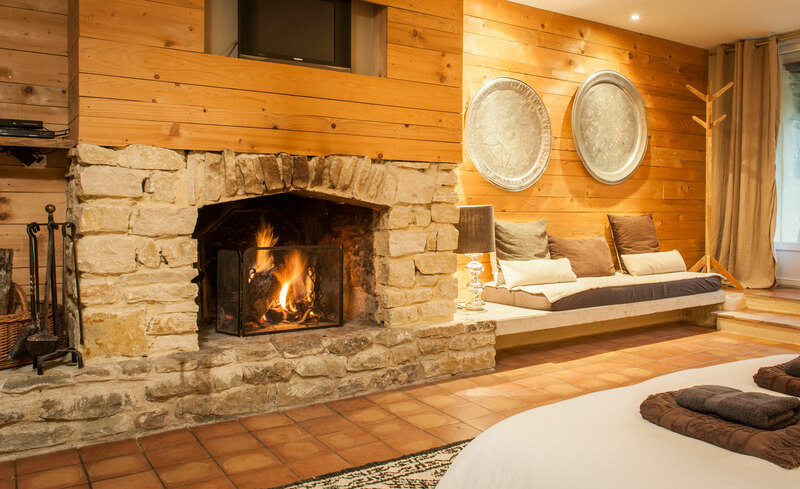 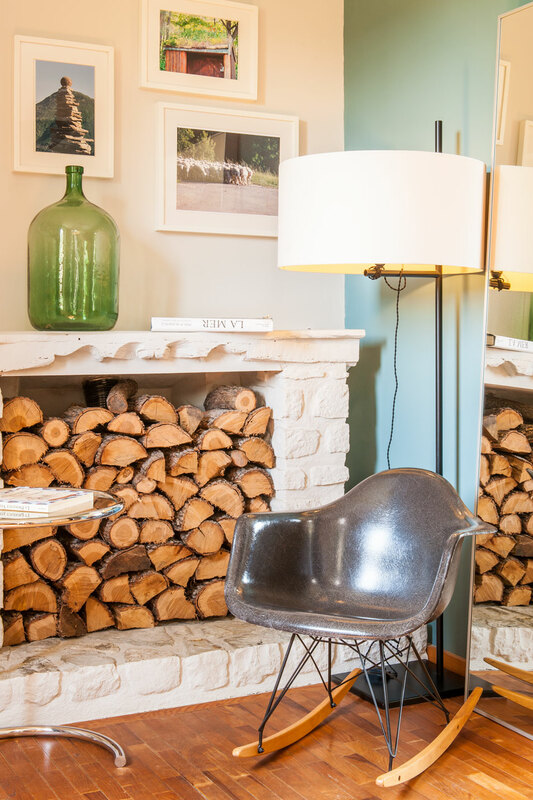 The soft colours of wood, wool and linen create a warm and welcoming feel (room with fireplace and its own terrace overlooking the garden and valley beyond). 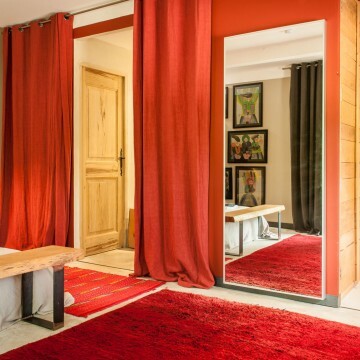 Coral red, ‘Caravane’ natural unbleached linen, wool, steel, wood and brick. 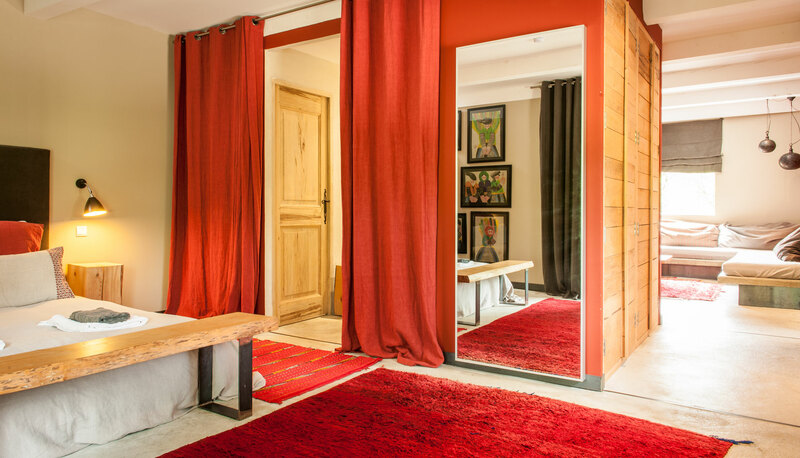 Fabrics, curtains, Asian paintings, carpet and fireplace (room with its own large terrace and stunning view).